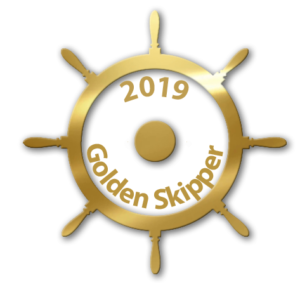 Introduced in 2018, this traditional style boat with a decidedly modern interior, is the ideal choice for a couple or young family. With it’s revolutionary use of space, it offers very comfortable accommodation both inside and out. 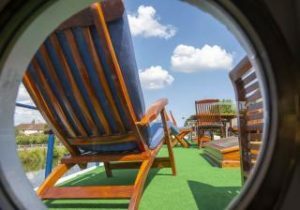 Cruising on the UNESCO Midi Canal, the stunning hotel barge Saraphina is fast becoming a firm favourite with our guests. It’s time to sit back, kick off your shoes and relax. Whether you’re looking for a romantic cruise for 2, or a fun trip for 4, Saraphina will make those dreams come true. Named after the passionate, french song of Edith Piaf, La Vie en Rose offers a relaxing home from which to explore the vineyards of the Côte Challonaise and the Côte de Beaune in Burgundy. Choose between a half-board or our unique Home & Away charter, combining the luxury of a hotel barge with the freedom of Bed & Breakfast. 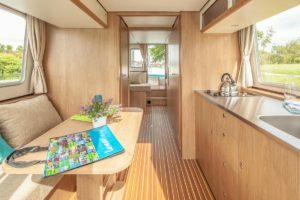 The self-drive Horizons are the most popular edition to the fleet for many years, featuring ensuite accommodation and a fabulous fundeck for outside living. Available in France, Belgium, Germany, Holland, Ireland, Italy & Canada. 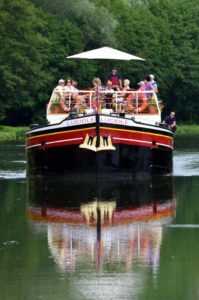 Regularly updated and with a friendly crew, Luciole remains one of the most popular barges year after year. Choose between a Classic, Walking, Cycling, Adventure or Wine Appreciation cruise for the trip of a lifetime. Carefully created cruises, just for you.